Calabasas, CA and Longmont, CO (December 23, 2015). National Technical Systems, Inc. (“NTS”), the leading independent provider of environmental simulation testing, inspection, and certification solutions in the United States, announced today that it has acquired EMC Integrity (“EMCI”) of Longmont, Colorado. Financial details of the acquisition were not disclosed. National Technical Systems, Inc. (NTS) is a global independent provider of environmental simulation testing, inspection, and certification services, serving a broad range of industries, including the civil aviation, space, defense, nuclear, telecommunications, industrial, electronics, medical, and automotive end markets. 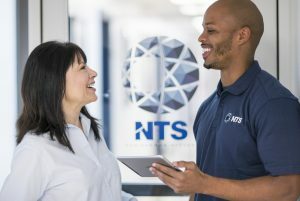 During its more than 50 years in business, NTS has built the broadest geographic presence and sole national footprint in the United States, an unparalleled breadth of capabilities, and has fostered continuous innovation, making NTS a unique one-stop resource to meet its clients’ demanding and evolving requirements. Operating through a network of over 25 technologically advanced testing laboratories across the United States, this geographically diverse footprint puts NTS facilities in close proximity to its more than 4,000 clients, allowing NTS to serve the nation’s most innovative companies with industry-leading accessibility and responsiveness. NTS’ offering spans more than 70 distinct environmental simulation and materials testing categories, including climatic, structural, dynamics, fluid flow, EMI/EMC, lightning, product safety, acoustics, failure analysis, chemical, and other industry-specific tests, allowing it to handle its clients’ most demanding needs. 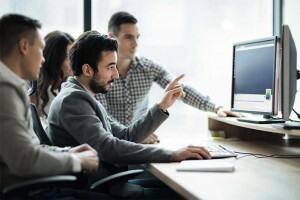 Additionally, the company is accredited by numerous national and international organizations, which allows NTS to have its test data nearly universally accepted worldwide. NTS operates its inspection division under the Unitek brand, providing a wide range of supply chain management services. NTS’ certification division, which operates under the NQA brand, is one of the largest and most respected global ISO registrars, with active certifications in more than 75 countries. For additional information about NTS, visit our website at www.nts.com or call 800-270-2516.